Justice League fans will this Batman Muscle Chest Costume. Pace around the streets of an imaginary Gotham, eyes peeled for the Penguin, Joker and other troublesome foes. Most will recoil at the sight of your muscled abs that come courtesy of this Bat shirt you can put on in seconds. 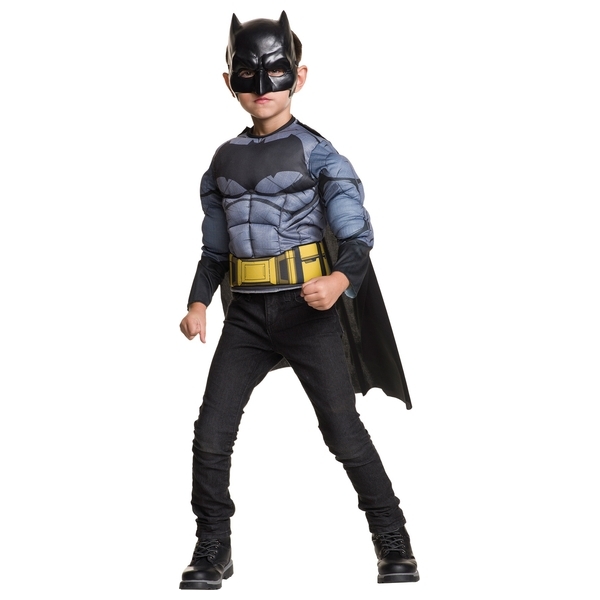 The trademark cape and mask will make you fully Bat-ready!